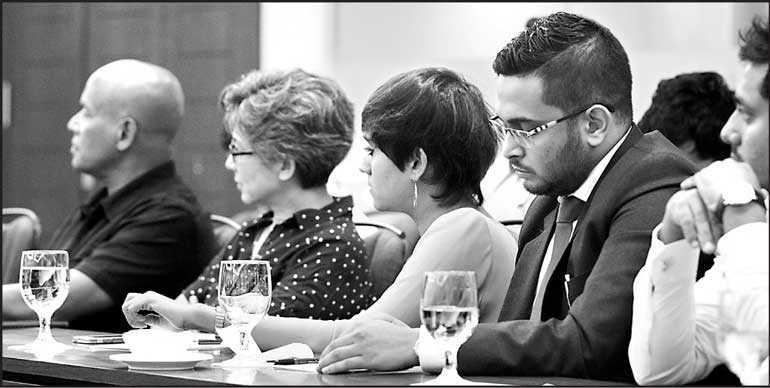 The Adhil Bakeer Markar Foundation hosted a Youth Dialogue on ‘Localising Youth 2030’ with the United Nations Secretary-General’s Envoy on Youth Jayathma Wickramanayake on 14 January at Hotel Mandarina in Colombo. 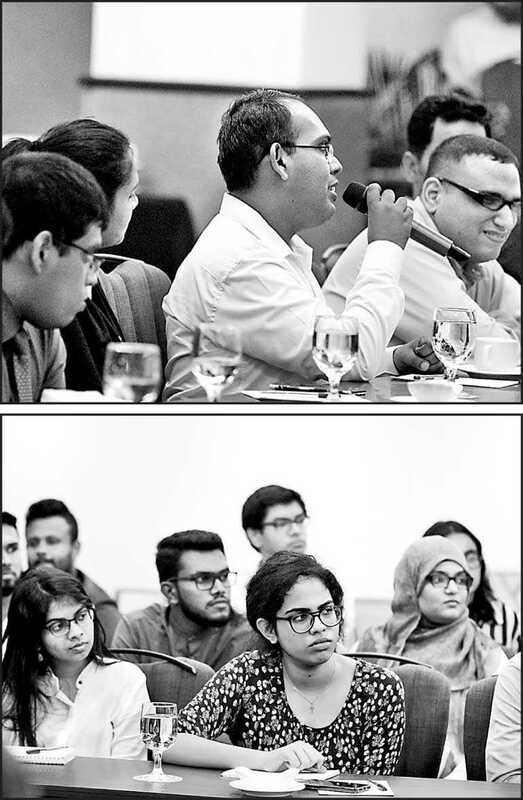 This one-day event sought to foster dialogue and strengthen efforts to localise youth in Sri Lanka for UN Youth Strategy 2030 while also gaining a deeper understanding of the challenges and opportunities that youth face today. Changemakers, youth activists, community leaders and guests joined the panel discussion to share their ideas, projects, and potential solutions. The participants had the privilege of listening to a speaker of international repute and be inspired to become agents and advocates of change. Building on her experiences, interactions and lessons learnt from international and national youth forums and youth development efforts, Jayathma spoke about how the UN can better address the challenges and bring together the voices of youth. The discussion mainly focused on youth mobilisation and contribution, priorities of the youth strategy, monitoring mechanisms and implementation instruments of youth initiatives, inter-sectional issues and information gaps. A concept that emerged quite frequently during the open dialogue was the idea of a feedback mechanism to make sure the global strategy is effectively replicated in the local context. Interesting insights and inputs were shared over Q&A sessions, inviting attendees to join the conversation and reflect on topics significant to them. The UN youth envoy acts as a representative of an advisor to the Secretary-General. Sharing her engagement and advocacy efforts which span across four pillars of work in sustainable development, human rights, peace and security and humanitarian action, Jayathma highlighted a few success stories of countries who did well in localising the global strategy. She also spoke about the ways to better integrate Sri Lankan communities into the work of UN – Youth Dialogue. After presenting a brief overview of youth demographics, the Youth Envoy continued the stimulating discussion by emphasising the encompassing definition of youth. “We need to approach youth as a heterogeneous group instead of a homogenous one,” she said. 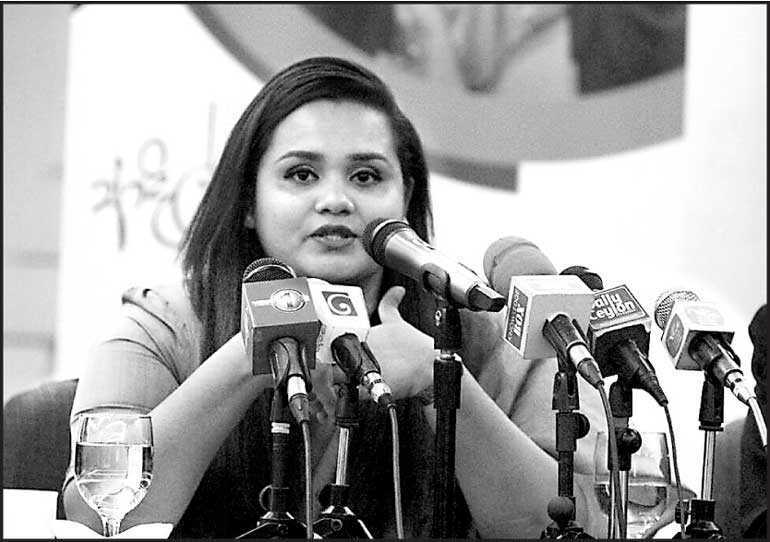 Addressing a question posed by Asoka Obeysekere, Executive Director of Transparency Sri Lanka, regarding the rhetoric of youth today, the UN Youth Envoy explained the way she perceives the trajectory of youth. The Youth Dialogue also included young people from various vulnerable groups, such as persons with disabilities. Janith Rukmal, co-founder of Enable Lanka is a passionate youth activist who is visually impaired. After appreciating UN’s efforts in making youth initiatives more pronounced within the system, he raised some of his concerns regarding the cross-cutting elements between marginalised communities. “Many of the forums which are supposed to be curated by youth are being invaded by tokenism. This is particularly prevalent in developing countries,” said Janith, who proposed UN to devise cost-effective, creative and accessible tools and resources for youth to engage in recurrent issues. He suggested that when it comes to localising global policies and framework, UN could act as a multilateral entity to unify the existing support systems so that countries can lead their own initiatives that they desire. The youth today belong to the largest and the most inter-connected generation of young people that the world has ever seen. According to UNDP, in Sri Lanka, 23% of the population is young people and youth empowerment is at the fore of our country’s development. In order to amplify young people’s voices, it is imperative that we work towards ensuring their rights and civic and political participation. ‘Localising Youth 2030’ served as a part of UN’s ongoing effort to increase meaningful engagement of youth in the UN Youth2030 Strategy, reaffirming its commitment to ‘Working with and for Young People’ and fulfilling Adhil’s dream of creating the change he wanted to see.